Location. 43° 4.902′ N, 76° 52.004′ W. Marker is near Clyde, New York, in Wayne County. Marker is on State Highway 31, on the right when traveling east. Touch for map. 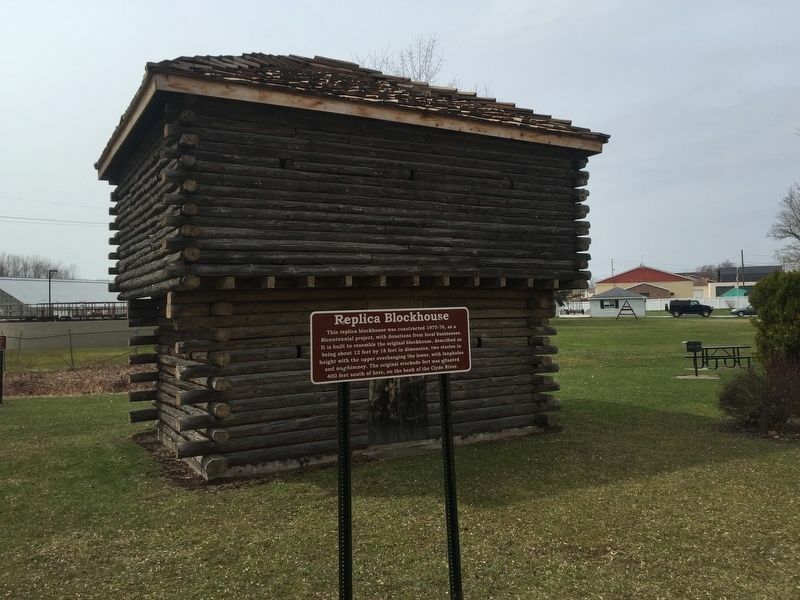 Marker is in this post office area: Clyde NY 14433, United States of America. Touch for directions. (approx. 0.4 miles away); Taylor Memorial Park (approx. 6.4 miles away); It is 1880 and You are Riding on a Packet Boat (approx. 6.4 miles away). Touch for a list and map of all markers in Clyde. More. 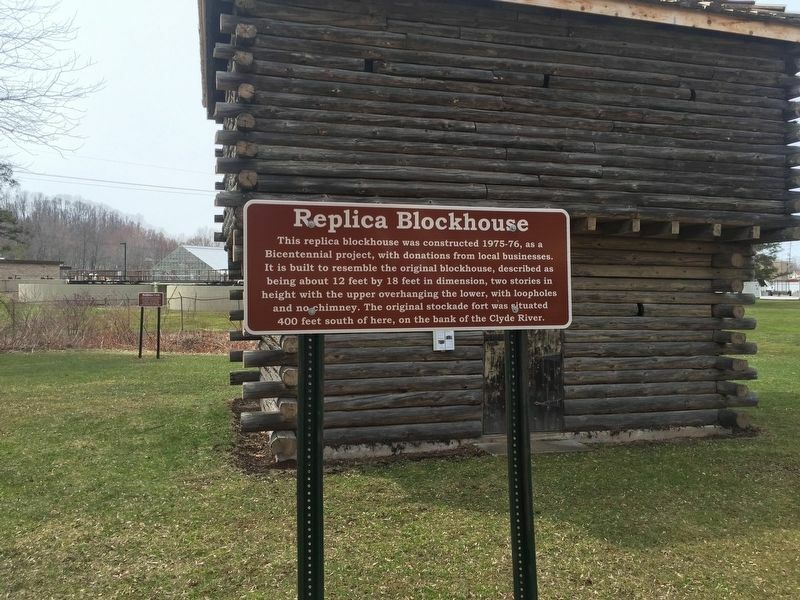 Search the internet for Replica Blockhouse. Credits. This page was last revised on April 9, 2019. This page originally submitted on April 8, 2019, by Steve Stoessel of Niskayuna, New York. This page has been viewed 41 times since then. Photos: 1, 2. submitted on April 8, 2019, by Steve Stoessel of Niskayuna, New York. • Andrew Ruppenstein was the editor who published this page.